Isotech ball screws are micromachined offering high-precision positioning and high load capacities. Isotech Inc., a supplier of precision linear motion products, has expanded their line of motion control products to include ball and trapezoidal screw drives for positioning and other motion control applications. Designed to transform rotary motion into linear motion and vice versa, Isotech ball screws are micromachined offering high-precision positioning and high load capacities. Depending on the accuracy required, screws are produced using three different production methods; rolled for normal applications, ground for high precision and whirled for ultra-high precision. Fully certified and guaranteed, the units are smooth running and offer a long service life. In addition, nut preload (to eliminate backlash) and positioning accuracy can be customized for the user’s specific application. “Ball screws, which work with balls as rolling elements, offer a higher efficiency than trapezoidal screws which are exposed to a sliding friction” said Joe Casillo, president at Isotech. “Typically a ball screw is used for dynamic positioning applications during a continuous operation, while trapezoidal screws are ideal for slow movements or clamping tasks with a short duty cycle.” Casillo said that, depending on the requirements, Isotech can now offer a screw driven motion solution, either ball or trapezoidal, that best fits the customers’ needs. In addition, for situations that require a long spindle they can supply a ball screw with a driven ball nut that delivers optimum results even at high speeds. Isotech offers both types of threaded spindles in imperial as well as metric dimensions and in all major industry standards. Models are available for a wide range of applications including aerospace, automotive, machine tools, laser cutting, injection molding, industrial robots, material handling and precision assembly equipment such as in semiconductor manufacturing. 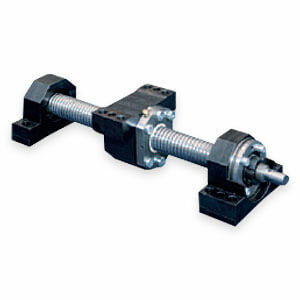 For more information, visit https://www.isotechinc.com/product-category/motorized-positioning-tables/ball-screw-trapezoidal-screw-drives/ or call Isotech at 800-314-3332.